Cannabis honey. Is it possible? Honey from cannabis. Well, why not? If lately cannabis has proved itself to be so helpful for the health of our body (not our mind!) 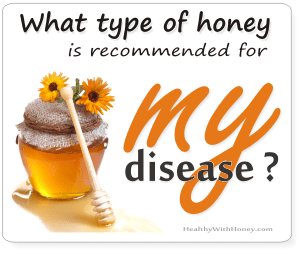 why not making honey out of it? And I don’t mean making a boiled syrup, or infused honey with this plant, but real honey made by real honey bees. On March 2016, the Internet was offering a piece of news telling us about a bee trainer, who managed to make the bees visit cannabis plants. A lot of comments followed, most of them focused on the idea that a person cannot actually train a bee, like you would do with a dog. As usual, the truth is somewhere in between. In this case, placing several hives in a greenhouse filled only with cannabis plants, would be more than enough to gather cannabis honey. No special training required here. If the beekeeper had trained the bees to choose only cannabis plants, from a variety of other plants, than this would have been called training. But this is rather difficult, if not impossible to accomplish. Honey is known to be produced in greenhouses, to obtain a monoflower type of honey, in a controlled environment, free from pesticides and pollution. 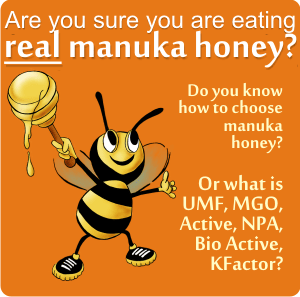 For example Maharishi honey, or the famous Revamil (some people say it is better than manuka honey in treating wounds, and it is a lot cheaper!). Why not having a greenhouse of cannabis and make good healthy honey? 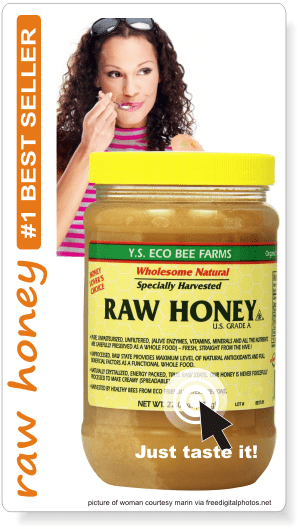 The only question is, would this type of honey be as good as the oil extracted from it? Because it may just be a big difference in its components, and a lot of study is required. But the initiative has to be saluted, because every research, every discovery had to start from somewhere. He now has 30 beehives and he uses many of them for his cannabis honey project. And what he does is not an easy job. Because he lives in France, and this country banns cannabis completely, he is forced to grow his plants in open air spaces, far from his home. (Not in greenhouses??) 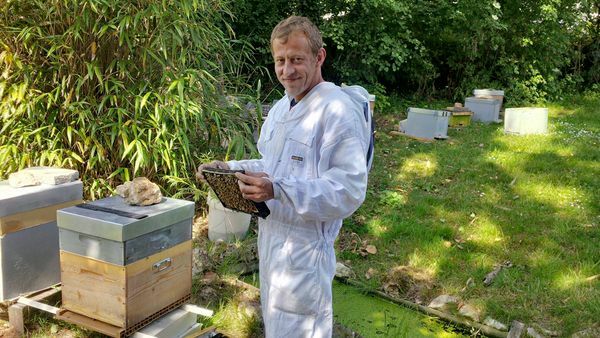 He takes a lot of risks, because he has to transport his plants close to the hives during the necessary time, so that the bees can take advantage of the resin. Of course people said cannabis can be harmful for bees, but as a beekeeper he knew they didn’t have an endocannabinoid system and he was able to demonstrate that the plants had no negative impact on the insects. Because he declares himself an advocate of medical cannabis and of complete marijuana legalization. And probably because in the last 10 years, cannabis has become a well-known plant with proved medical qualities, especially in cancers area. “For some time I had known about the health benefits of bee products such as honey, propolis, pollen, wax and royal jelly and also about the benefits of cannabis….So if the bees take the resin from cannabis it would also be very beneficial.” he says. Besides, when he was 7 years old, the educational system labelled him as “unsuitable”, due to his hyperactive state. Soon he left school. “I began consuming before the age of 10”, he said. A very good reason to get attached to this plant. When started to make cannabis honey, he intended to unite the properties of both things, cannabis and bees’ added substances, and make the bees manage to use the resin correctly, to obtain a great product. That’s the name Nicolas gave to his cannabis honey. According to him, cannahoney has “quite a floral aroma and a color”. The color usually ranges from light green to white or yellow. Since now, his honey has not gone to any laboratory, no one has had the chance to test how much cannabis is in the final honey product. We can only trust his word. 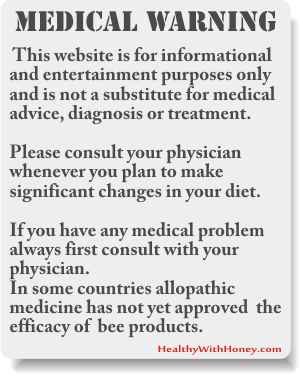 No other beekeepers said they did this. As proof we have only an 11 seconds video showing how bees collect something from a cannabis plant, showing us that, yes, bees can harvest cannabis. Don’t the bees get high? No. They do not have an endocannabinoid system. It’s just another form of food for them. 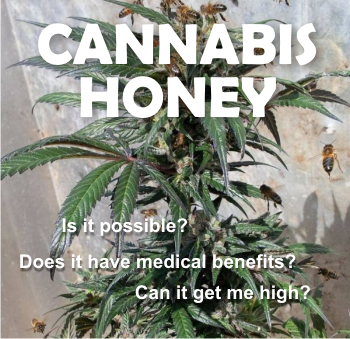 Can honey bees make honey from cannabis? Like from the other melliferous plants? According to Matan Shelomi, cannabis has no nectar, the main ingredient of honey, and is not pollinated by insects. It is a wind-pollinated plant. It does not offer any incentives to bees to visit it – it is not colorful and it doesn’t emit smell that attracts bees. It doesn’t provide them with protein-rich pollen that can stick to their pollen baskets and has no nectar. 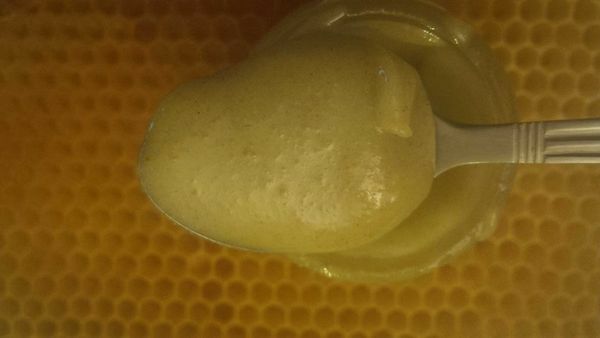 Cannahoney is made from the resin of cannabis, not from nectar. Besides nectar, we know that honey can also be produced from dew drops found on some plants and trees, and from them honey bees make the healthy and delicious honeydew honey. From the resin obtained from willows, poplars and other trees or plants bees make propolis, which is antiseptic, antifungal and antibacterial. Yet, Nicolas Trainerbees says he managed to train the bees in also making honey out of this resin. Probably from here came his reputation as a bee trainer. But wouldn’t a hungry bee get food from any possible food source, only not to starve to death? Don’t we humans start eating cockroaches if it’s the only way to prevent starvation? Oh yes, we do that. Why wouldn’t honey bees act the same? If resin from cannabis is the only thing eatable (even though not appealing) why not eating it? He offers no other details. Isn’t hashish made of exactly this resin? Yes, it is. Hashish is made from scraping the resin from the surface of the plants and rolling it into balls. (Or the ball is made of pressed kief, the detached trichomes and fine material that falls off cannabis flowers and leaves.) It can be consumed orally or smoked, and it’s also vaporised, or vaped. Is cannabis that good for our health? According to new research and case reports, cannabis is extremely good. It acts like a true miracle product in probably any type of cancer. It’s a plant already used as medicine in some countries, yet completely banned in others. It contains chemicals called cannabinoids that affect the central nervous system and the immune system. Cannabinoids are found in the highest concentration in the leaves and flowers, the parts that are used to make medicine. They are also known as phytocannabinoids. The main active cannabinoids in Cannabis are delta-9-THC and cannabidiol. The latter one is known to relieve pain and lower inflammation without causing the “high” of delta-9-THC. When it is taken by mouth it treats a wide area of conditions, from multiple sclerosis to brain cancer. Tetrahydrocannabinol (THC) is used in the prescription-only, FDA-approved product dronabinol (Marinol) for the treatment of weight loss or appetite loss due to AIDS and for nausea and vomiting caused by cancerchemotherapy. Cannabinoids are at least as effective as some conventional medications for nausea, including prochlorperazine (Compazine), metoclopramide (Reglan), chlorpromazine (Compazine), and thiethylperazine (Torecan). These cannabinoids also appear to be similar to codeine for treatment of pain. However, extreme sleepiness and other central nervous system effects make cannabinoids undesirable as painkillers. But there is nothing new here. The use of Cannabis for medicinal purposes dates back at least 3,000 years. It came into use in Western medicine in the 19th century and was said to relieve pain, inflammation, spasms, and convulsions. By now (May 2016) marijuana is legalized in some US states, such as California, Washington, Oregon, Arizona, and others, and there are also countries, like Canada, and in Europe: Austria, Belgium, Britain, Croatia, Czech Republic, Finland, France, Germany, Italy, Macedonia, Netherlands, Portugal, Romania, Slovenia, Spain. But also Australia and India permit the use of medical marijuana. And things are moving. – Here is an interesting case of treating Crohn’s disease with it. – And here is Rick Simpson from Canada, one of the world’s cannabis icons and activists for legalization of marijuana, who has healed more than 5000 people with cannabis oil – after he was diagnosed with the most severe skin cancer in 2002 and cured the dreaded disease using hemp oil. You can read the book he wrote on this here, it’s $11.99 in a kindle version. On Amazon you can also find an interesting book: DIY Cannabis Exracts: The Ultimate Guide to DIY Marijuana Extracts: Cannabis Oil, Dabs, Hash, Cannabutter, and Edibles (Marijuana seeds, Marijuana strains, indoor growing, cannabis dabbing) . Or, a best seller CBD-Rich Hemp Oil: Cannabis Medicine is Back ! – Here is the story of a woman who cured stage 4 lung cancer with cannabis oil and coconut oil taken rectally. There are lots of other stories, a simple search will reveal them. But at this moment this is all we have: case reports. So, considering the good effects of cannabis on our health, why not inventing a delicious product out of it, like cannabis honey? From where to buy cannabis oil? I honestly don’t know. There are lots of books on how to Do It Yourself. (see above) But the online shops will only sell hemp oil, which is NOT from the cannabis plant marijuana is made of, and it does not have the THC needed for that medical use. It has good health effects, but not the ones mentioned here. Here is an example: Earth Natural Botanical 100% PURE ORGANIC HEMPSEED (Unrefined) Cannabis sativa Kosher & Carrier Hemp Seed oil | Gift Packaged (8 oz.) 237 mL Imported Glass Bottle | Natural Chlorophyll GREEN | Rich Nutty Aroma! Is it possible to train honey bees? Not quite. But we can use them in our benefit. But why should we turn to bees for help? What happened to all our other resources? It seems that for some things, bees are cheaper and better. For example, they have a superior sense of smell, even more sensitive than that of a dog, and this gave people the idea of training them to detect specific chemical odors. also read: Can a honey bee see, smell, taste, touch, speak? Which is what Susan Soares, A Portuguese designer, did. 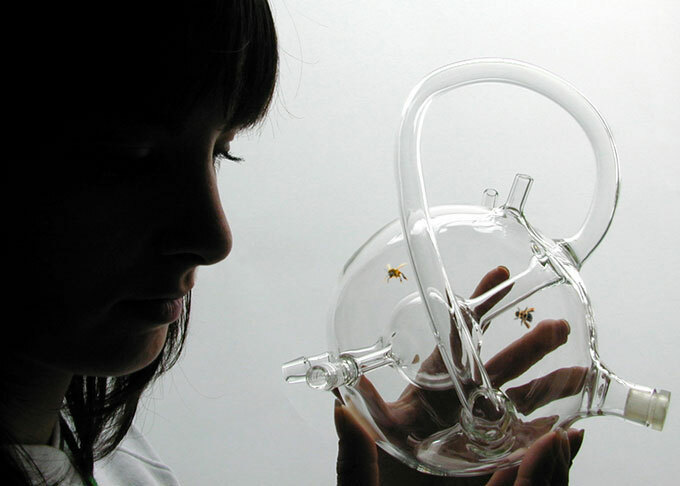 She developed a device that can utilize trained bees to detect serious diseases. 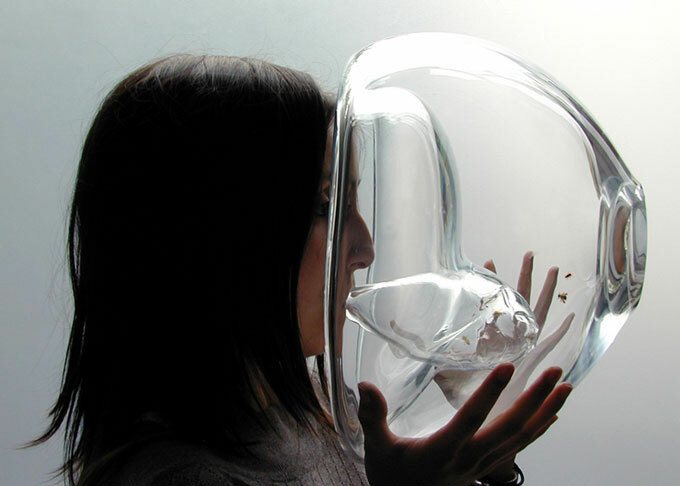 Bees are placed in a glass chamber and the patient simply exhales into it. If the bees detect any type of cancer, they will fly into a smaller, secondary chamber. But this can hardly be called training. It is simply their way of fleeing from danger. Or, honey bees have been used to detect bombs. But they are still researching, testing and getting stung. Read the article here. 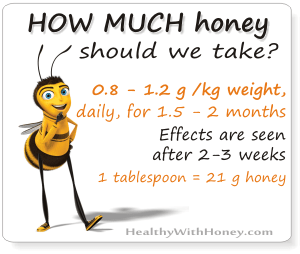 Eat honey! It’s good for your heart problem! Himalayan Red Honey – aka mad, toxic, hallucinogenic honey from Nepal. we are premium suppliers of rick simpson organic hemp essential oil and our deliveries spread through out the USA and extends To Canada. Place your order by simply texting this number +12694095259 or better still send us an email at simpsonrickcure@outlook.com. I’ve let the contact data here, but I advise people to first check this supplier well. I personally could not find anything (online)to indicate that Mary Wood is a legit supplier of Rick Simpson oil. Visit the producer’s page first, its http://buyricksimpsonoil.com/. These guys may be small and at the beginning of the road to advertise in the comment section of a website, but on the other side they may just as well be scams. I’m sure they would not mind this comment, if they know themselves to be honest, and realize the world is full of all kinds of people and we need to be careful. This stuff is not very cheap and our health deserves the best quality. Do not trust anybody. Always double check!